The 5 Best Corn Mazes in North Dakota! Enjoy the serenity of a beautiful fall day from within a corn maze. Across North Dakota, you’ll find intricately-crafted corn mazes just waiting to be navigated! Everyone can enjoy the creative themes and the fun challenges these mazes pose. Here are our favorites in the state. The Nelson family has operated their farm since 1880, turning it into a fall oasis since 1996. Their goal is to provide both kids and adults with a way to enjoy the holiday while connecting to nature, specifically agriculture. 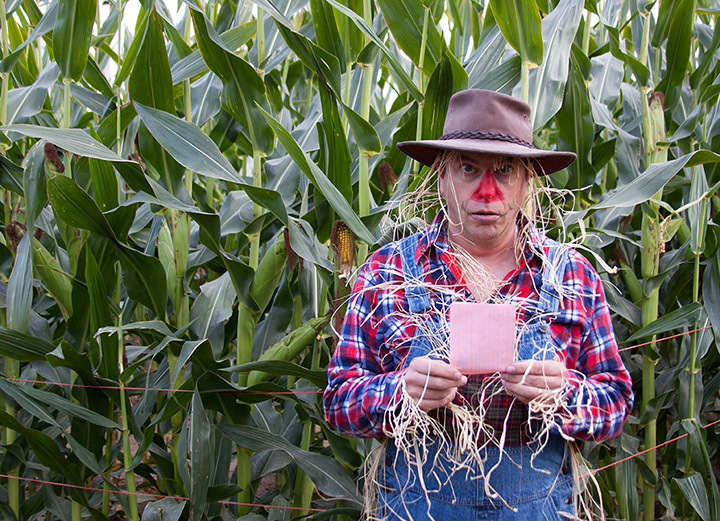 One of the highlights of their farm is its mazes: Spookley's Maze (for children) and an 11-acre corn maze that is sure to challenge and delight. The Mandan Corn Maze is truly a sight to behold. In addition to challenging even the most efficient maze breakers, each year holds a different theme for the maze. Previous maze themes include “Batman.” Visitors are encouraged to dress up in the theme to make the experience as unique as possible. Formerly known as the Dakota Carriage Company, the Rusty K Ranch is the place to go for everything Halloween. In addition to a plethora of fun, family-oriented activities, the Ranch is also home to two corn mazes: one for children and the other for adults. The fall festival, as it is known, is limited to 250 people daily, so get there early and enjoy. A popular Halloween destination since 2010, Berry’s Acres Pumpkin Patch is home to a unique and puzzling eight-acre corn maze. There is also a mini-maze for those not able to participate in the larger and more difficult corn maze. Children under the age of 12 must be with an adult at all times. Open only the last weekend in September, the Maddock Rural Renaissance Fall Festival is a must-see attraction for people across the Midwest. In addition to a wide variety of Halloween-inspired events and numerous vendors, the festival also includes a bale maze, inflatables and more. View more North Dakota Corn Mazes.